A friction-less experience increases conversions, leads and sales using ONEcount's identity technology. Easily setup paywalls or gating rules for content, asset resources, paid products—and more. Powerful single and social sign-on capabilities allow users to quickly and securely login into account. Once logged in, a user can access all content across websites and account data from cross channels-and devices. ONEcount's cookie-less technology, device signatures and browser fingerprinting closes all user access loopholes. Without the ONEcount solution, users have to sign-in to multiple accounts for different purposes, like to access: premium content (CMS), account information and billing (fulfillment vendor portal), or shopping (e-commerce). ONEcount captures all of a user's accounts, including social logins, and consolidates them into a single user ID. Once the single user ID is created, the user is known as they move across devices or browsers. Users are able to easily access and modify their accounts in one single ecosystem. Publishers get a holistic view of user behavior by tracking and collecting data across channels, properties and devices. A magazine publisher with 91 million annual web page views, deployed ONEcount's platform as a single sign-on, gating, and paywall solution. This created a seamless experience across their digital enterprise. The publisher's new ability to more efficiently gate assets, learn about user behavior and optimize digital strategies resulted in significant revenue growth. 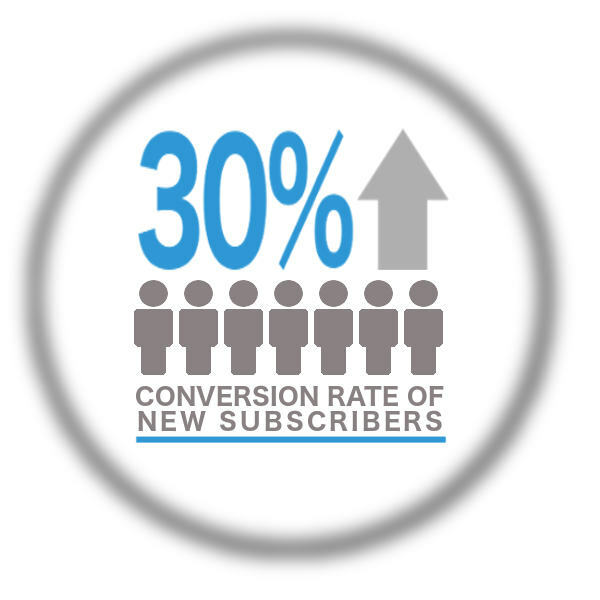 New subscribers who were served the paywall converted at a rate of 30%.